So what is the best area to stay in Barcelona? For a first time visit the best area to stay in Barcelona would obviously be Barcelona city centre and central neighbourhoods. 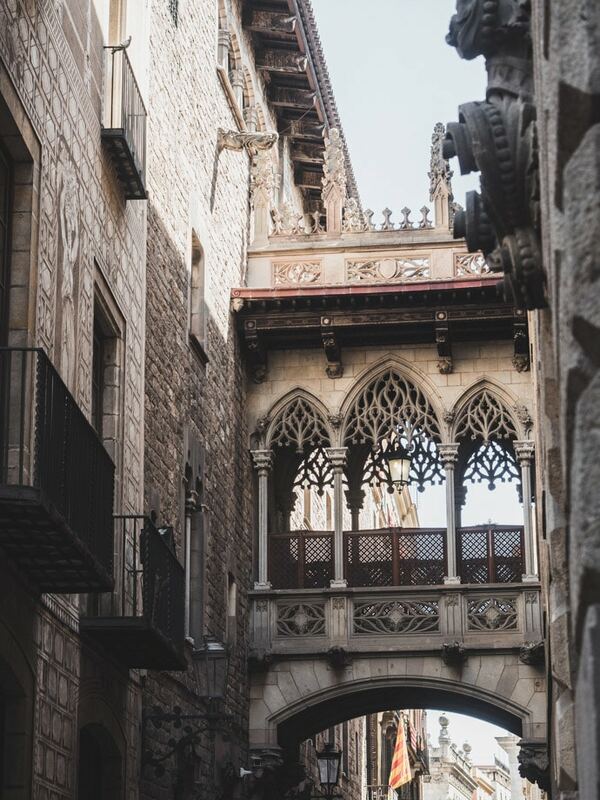 The Gothic Quarter, otherwise known as Barri Gotic, is a beautiful medieval neighbourhood, right in Barcelona city centre. 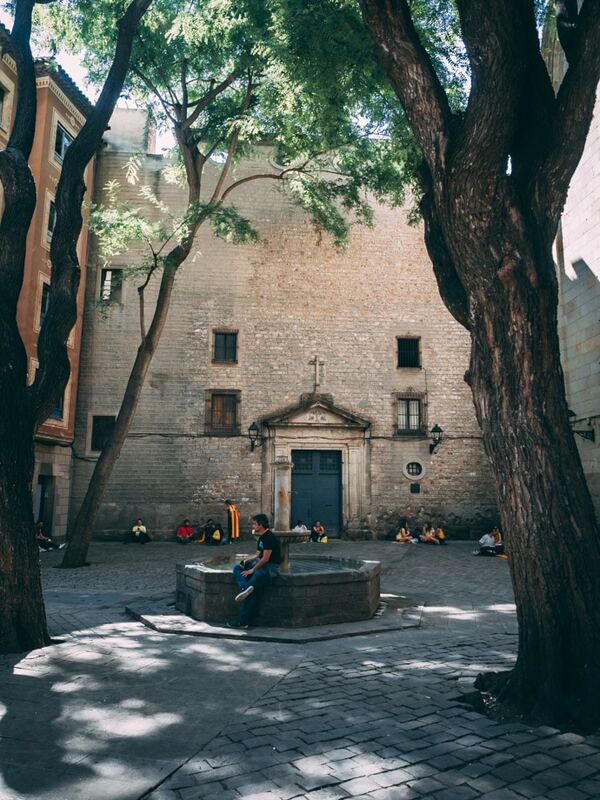 The Gothic Quarter is the original Old Town of Barcelona, bordered by Las Ramblas. You will find many beautiful buildings, shops, bars and restaurants as well as many many tourists in this area. Its little streets are like a beautiful maze you’re more than happy to get lost in. 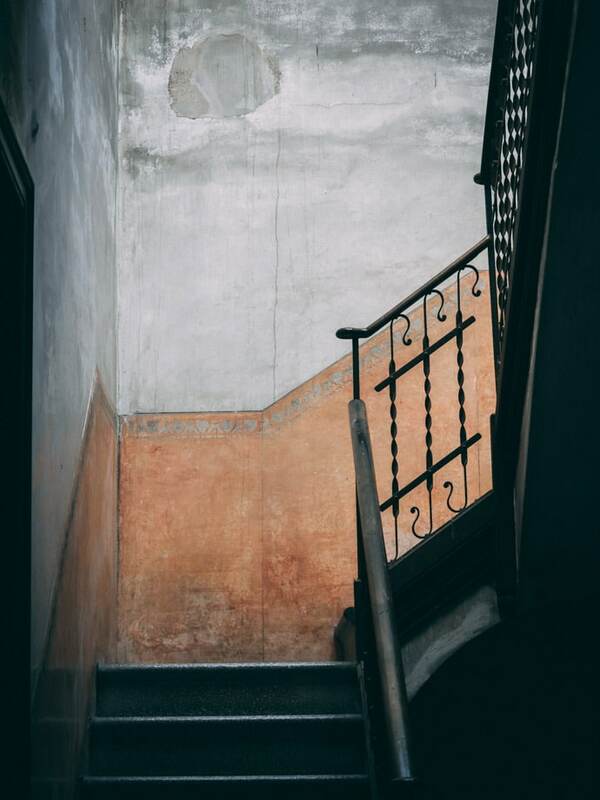 The perks of staying in the Gothic Quarter are its central location and its beautiful architecture, whilst the main downside is that there will be many tourists and you might miss out on the local feel. Located next to the Gothic Quarter is El Born. El Born is another beautiful historic neighbourhood that is very central. The area is filled with small bars, shops and restaurants, and has a lively atmosphere. 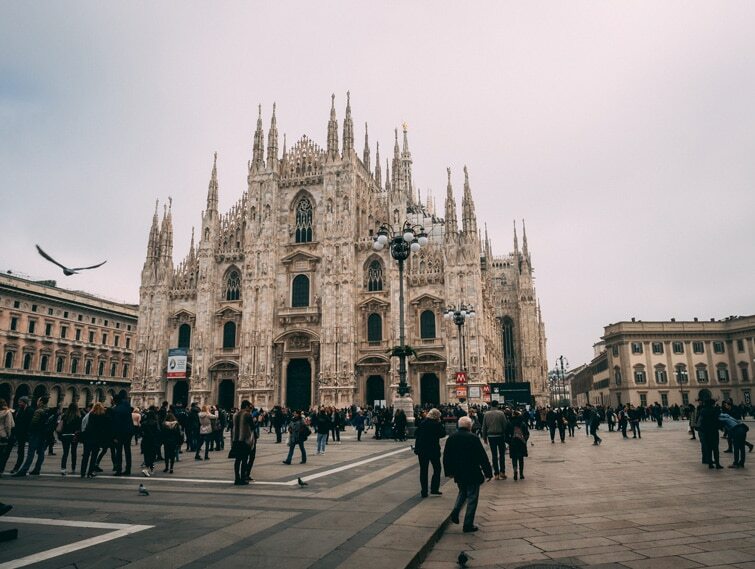 Here you will find the beautiful Santa Maria del Mar Church, Santa Caterina Market and El Born Cultural centre. It also borders Barceloneta (making it not too far from the beach) and Parc de la Ciutadella. El Born is one of the best areas to stay in Barcelona for nightlife as it has many small bars. See our accommodation guide below for hotels in El Born. The Eixample neighbourhood (pronounced e-shamp-la, yes, we got quite the shock too when told this by our Airbnb host! ), covers quite a large area. It was first built to expand the old city of Barcelona and has wide avenues and a grid street structure. It is home to some of Gaudi’s stunning architecture, such as Casa Mila, Casa Batllo and the Sagrada Familia, along with many bars and restaurants. 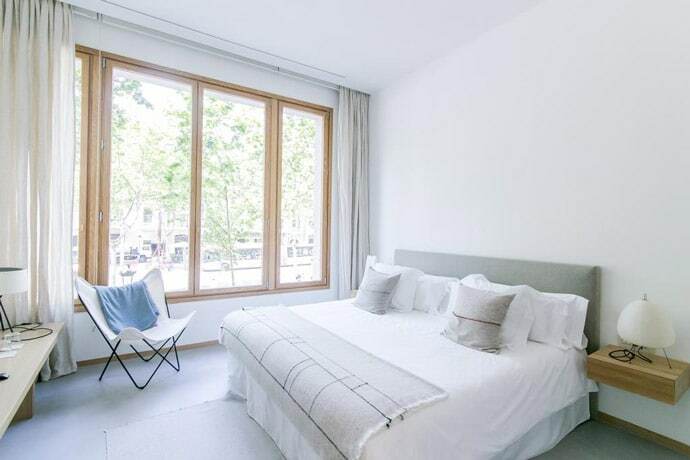 It is one of the best places to stay in Barcelona for shopping and includes the main shopping street of Passeig de Gràcia. El Raval is a diverse neighbourhood next to the Gothic Quarter. It’s known for having a rough past but has modernised over the last couple of decades. It now has many restaurants and bars and is full of character. It is also home to the Barcelona Museum of Contemporary Art. Barceloneta feels like it’s own little section of the city with an authentic community feel, right along the waterfront. 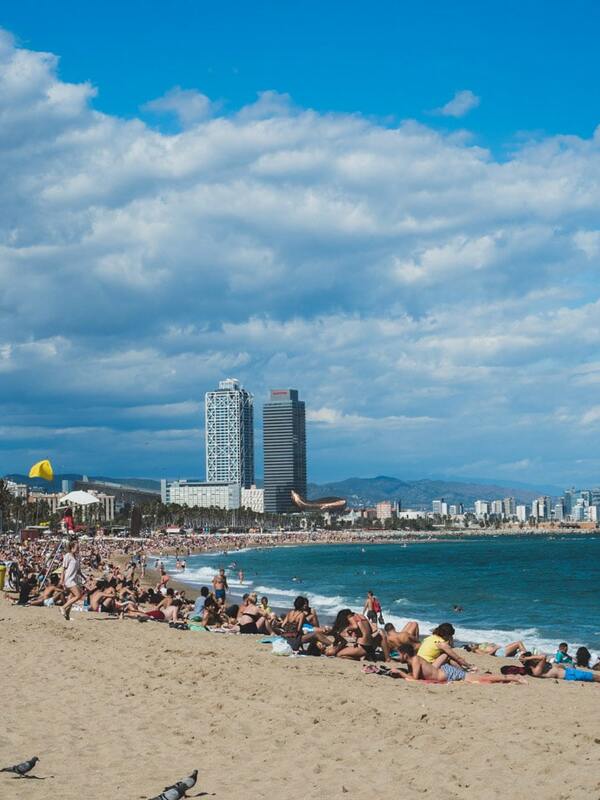 It is home to Barceloneta beach, the closest city beach and is, therefore, a good choice if you want to stay in the city centre but have good beach access. This makes Barceloneta a great pick for where to stay in Barcelona for families, although it is not as central as some areas. 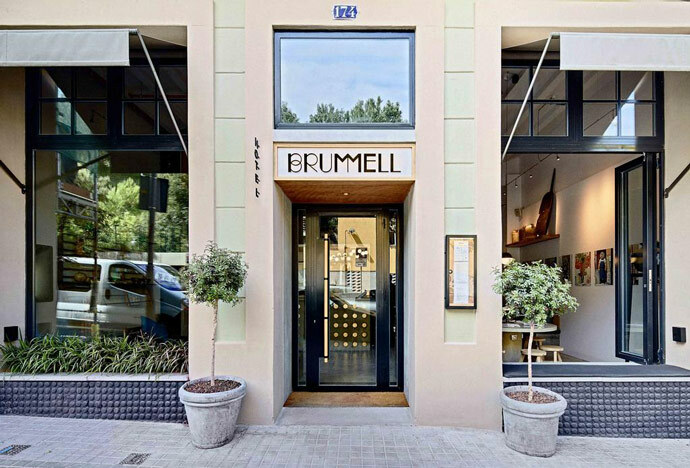 Where to stay in Barcelona for a local feel? Gracia is definitely a great choice, with a small village community feel about it. In fact, prior to Barcelona expanding to Eixample, Gracia was its own village separate to Barcelona. 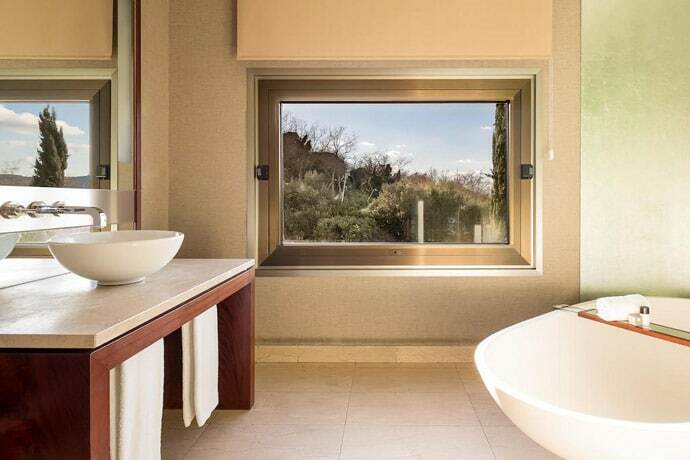 Although not in the historical centre of Barcelona, it is located just below Park Guell and borders Eixample. 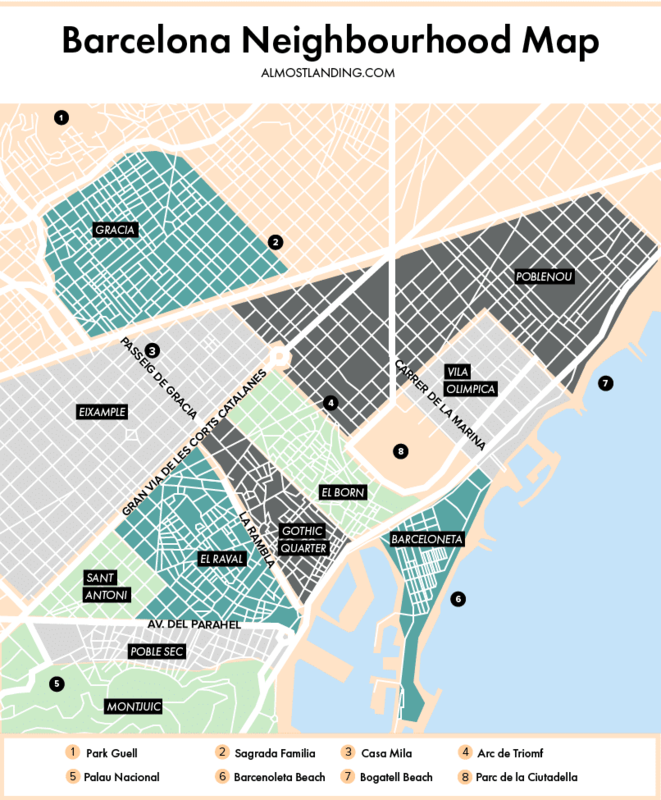 The Sant Antoni neighbourhood borders Eixample, Poble Sec and El Raval. It has a neighbourhood feel but is still home to lots of trendy restaurants and cafes, particularly in the Carrer del Parliament street. Whilst there are not a lot of hotels in Sant Antoni, it’s a great neighbourhood to try Airbnb and stay in a local apartment. It may not be as central as some other areas, but it is still walkable to the city centre. Sant Antoni is near Placa Espanya and Montjuic and the stunning Palau Nacional. Poble Sec lies between El Raval, Sant Antoni and Montjuic. 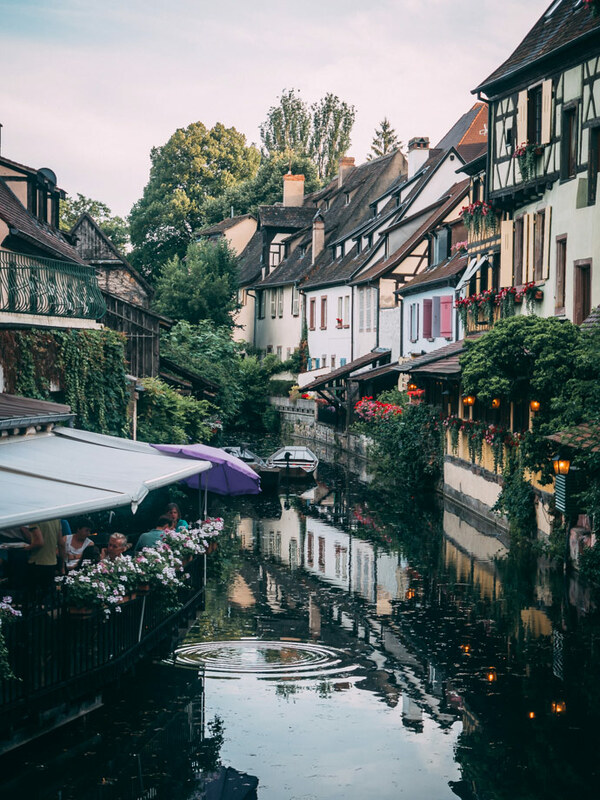 It has a quiet neighbourhood feel, and although not as central, it is still easy enough to make your way to the Gothic Quarter and other areas. Poble Sec has a bit of a reputation as a foodie area and is home to one of the best tapas bars in Barcelona, Quimet & Quimet. If staying here, make sure to walk up to Palau Nacional for the views and the magic fountain of Montjuic at night. Poblenou + Vila Olimpica neighbour each other along the beachfront of Barcelona. 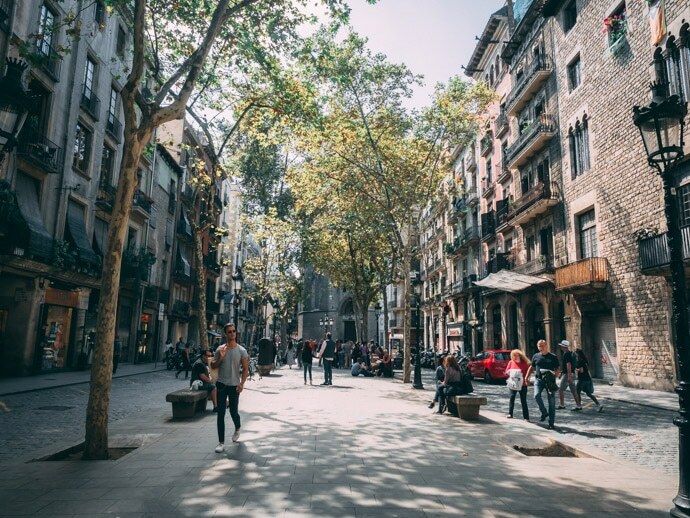 They are more modern residential neighbourhoods that are worth considering if you want to stay near the beaches of Barcelona without being right in the city centre. But otherwise, there are more central areas to stay. 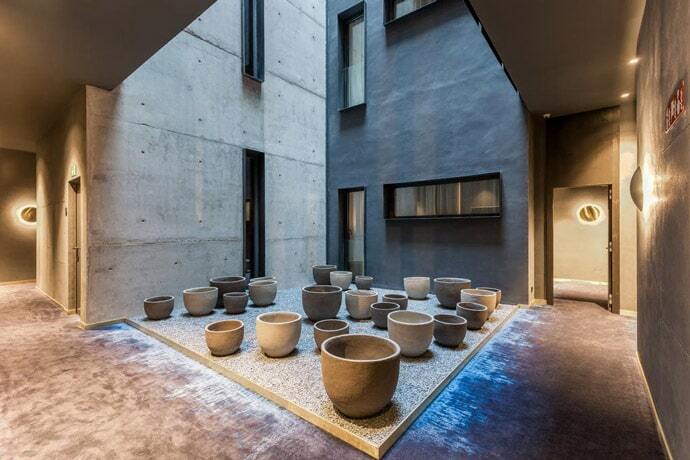 So Where To Stay In Barcelona? 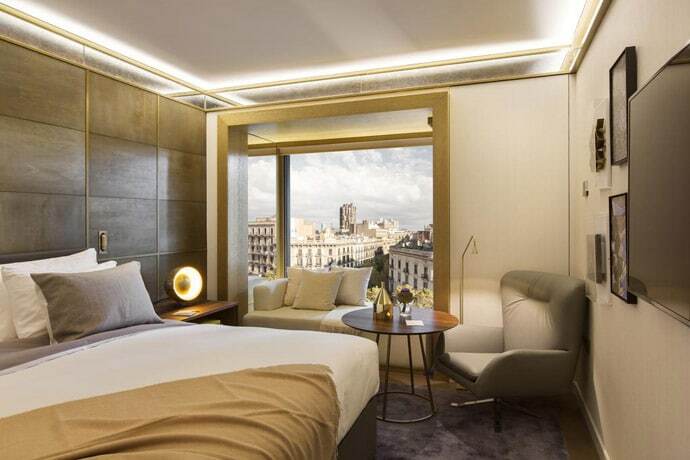 Where to stay in Barcelona for first-time visitors and sightseeing? The Gothic Quarter, El Born and Eixample are the most central. Gracia is a little less central but has a local feel. Where to stay in Barcelona for families? Barceloneta is fairly central whilst being on the beach. For the most central neighbourhoods, El Born, the Gothic Quarter and Eixample are good. And for a quieter area, try Gracia, Sant Antoni and Poble Sec. And for modern residential areas by the beach that are a little further away from the main tourist areas, try Poble Nou. You might be wondering where are the safest areas to stay in Barcelona? Barcelona is just as safe as any other city, but usually, there may be more petty crime in areas with the most tourist. Just be aware of your belongings and surroundings as you would anywhere in the world. 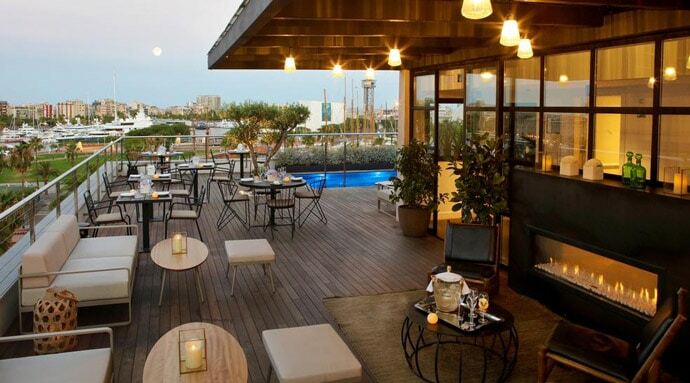 Where to stay in Barcelona for nightlife? The Gothic Quarter and El Born are great for small bars and a lively atmosphere. Eixample also has bars and clubs, and some of the biggest nightclubs are in Vila Olimpica. 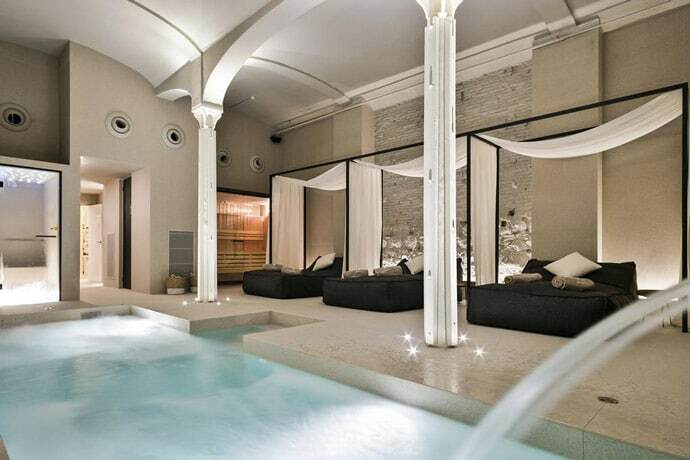 Where to stay in Barcelona for couples? 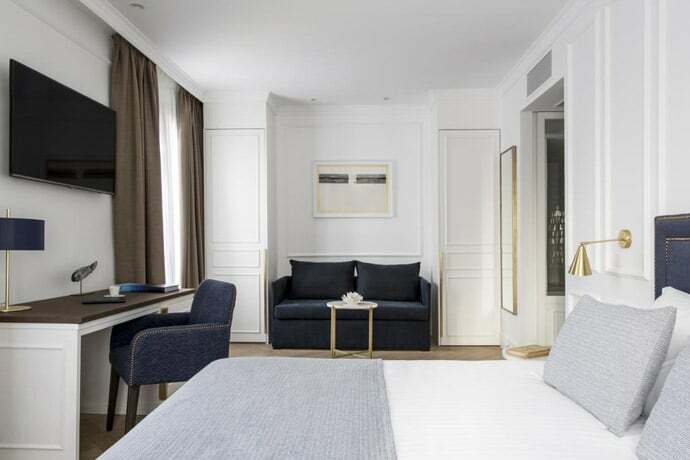 It really depends on what you want to do in Barcelona, but some of our favourites for the best places to stay in Barcelona for couples would be El Born, Eixample, the Gothic Quarter and Gracia. Where To Stay in Barcelona for a local feel? Sant Antoni, Poble Sec and Gracia are all great options. When booking accommodation in Barcelona, there are two main websites that I use. 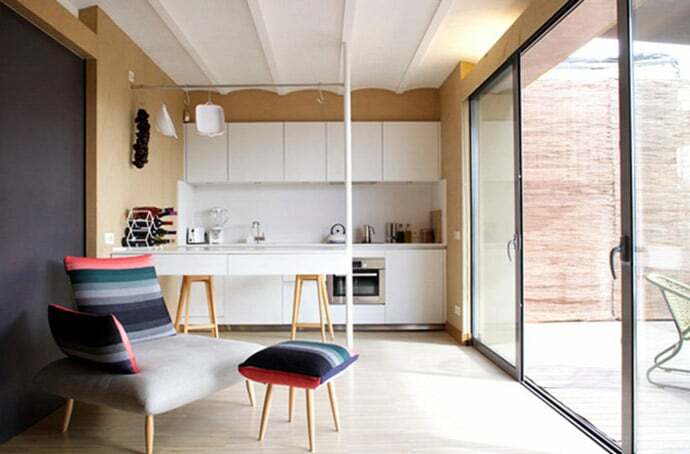 I love seeing what’s available in Barcelona from Airbnb, from getting to stay with a local host or having your own place to yourself, there’s something for everyone. We have put together a guide of the best places to stay in Barcelona from our experience of our time there and research. 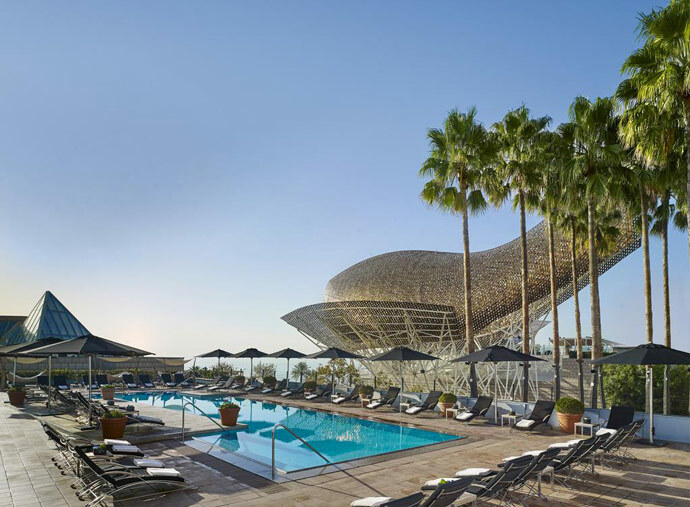 This includes 5 star and Luxury hotels in Barcelona, boutique hotels in Barcelona, Barcelona beach hotels and where to stay in Barcelona city centre. We will continually update this post to make sure we’re recommending the best Barcelona Accommodation, to help you choose where to stay in Barcelona.